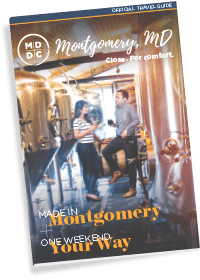 The Montgomery County Taco Festival is all set for June 28th & June 29th 2019! Friday June 28th will kick off the two evening event with delicious taco tasting on the patio. Enjoy tastings from over 20 chefs who pride themselves in their taco creations from around the world. Inside you can enjoy our craft beer pub with samples & seasonal flavors on tap! Saturday will continue the excitement with our "Taco Competition." Who will win our "Tasty Taco Trophy" and leave with bragging rights and a $500 gift card? Enjoy the MOST delicious day of your life! Tacos will be for sale by each vendor for only $3 each on Friday and Saturday evening. Additional menu items or overstuffed tacos not included in the $3 special. Non-profits will be on site selling waters & sodas to help raise money for their organizations. Please email hello@michellegodfrey.com for more details or to join in on the event as a vendor.